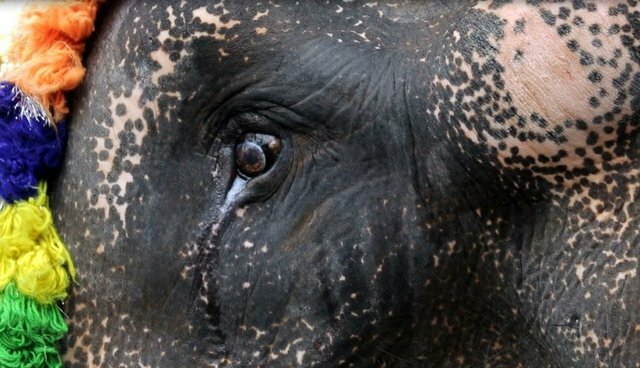 The atrocities against the temple elephants that she watched in the Gods in Shackles movie trailer disturbed her so dramatically that Monica Kelley, biology teacher in Geneva High School, New York State, was inspired to do something. She realized that these largest living land mammals are captured illegally and tortured into slavery, so people can make profit under the guise of culture and religion. Monica felt she simply couldn't sit back and allow the injustice and inhumane treatment to continue. So she challenged herself to run a 20 mile marathon, to help create awareness of the plight of the Asian elephants that are used in temples and festivals. She crafted the details and planned them meticulously. 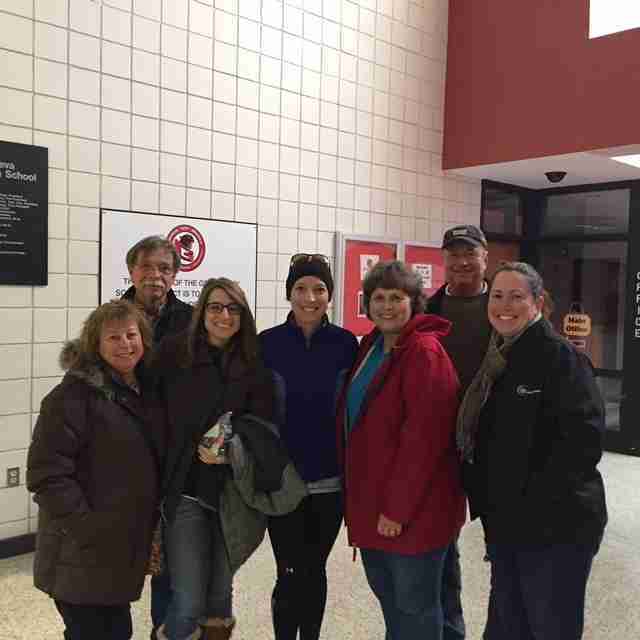 With some help from engaged students, she organized a Relay Run for students and staff, while also inviting others from her school district to participate. She also asked some of the "dedicated students" to wear elephant costumes for publicizing the event at the Festival of Nations in her community. Kelley offered to run one mile for every $100 raised, and committed to run a total of 20 miles, to help raise $2,000 for Gods in Shackles, in its post-production stage. The film exposes the barbaric torture of Asian elephants in the southern state of Kerala, India, where mostly bull elephants are paraded under the scorching sun, deprived of their basic necessities of life. The film is called Gods in Shackles because elephants are considered to be the embodiment of the most worshiped god in the Hindu religion – Lord Ganesha, also known as the remover of obstacles. As it turned out, Kelley raised just over $2,000 within 40 days of launching her campaign. Then, on Saturday November the 14th she laced up her shoes, ready to live up to her pledge, and ran she did - the 20 mile marathon - beating the elements and all odds. 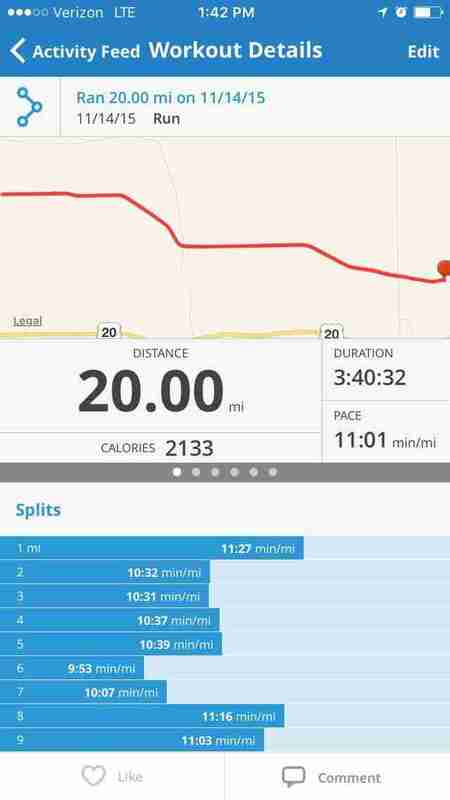 She said, "During the run, the wind was extremely strong and cold, and it was blowing into my face the first 10 miles. It was very challenging but I just reminded myself that once I got half way, I could turn around and the wind would be to my back." It's this kind of determination and positive outlook Kelley injects into her daily life that sets her a shining example, for people in her community, and most importantly her students - the future citizens of our planet. In an email interview with me Kelley said, she was inspired to complete the 20 mile run because she wanted to encourage her students to become involved in global wildlife issues, while supporting the making of Gods in Shackles, and engaging her school community. During her quite moments of reflection, Kelley realized the true symbolism of her run, and sums it up eloquently, "Like many accomplishments in life, there is a great deal of hard work that must be done initially to reach a goal." She also understood the value of collective effort, considering the many people, including students, school staff, friends and family, who helped her achieve her goal. And then, to have her husband and children anxiously awaiting her arrival at the finish line was just the icing on the cake. Kelley says she's grateful for her husband who believes in her and supports her mission. Apparently he also volunteered his time to help out at the event, without which she says it would've been difficult to support this worthwhile cause. "Gods in Shackles means so much to me because it is a powerful documentary that can change the lives of many captive elephants, as well as the future of wild elephants who have not been captured. No animal deserves to live in the conditions that the Temple Elephants endure, and I believe that Gods in Shackles can end the use of elephants in temples and festivals in India." Kelley encourages everyone to do their part in helping expose the barbaric torture of one of the noblest animals to grace our planet, and put an end to it. If you are inspired to participate and need more details, please visit Gods in Shackles, by clicking on the movie title anywhere in this article.